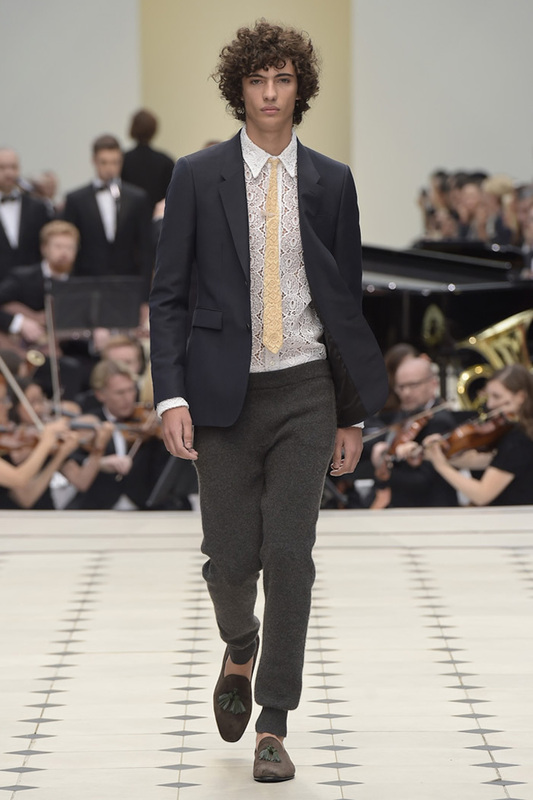 Christopher Bailey called the show a “mash-up of things I really love.” Indeed, this Burberry outing was different from past ones because there were so many wheels spinning. There were sharp military influences, long silk skirts with a hint of grunge, kilts, and short and sculpted lace dresses. Monogrammed black nylon backpacks debuted with some of the early exits, as a further nod to the Nineties mood that blew through the collection. 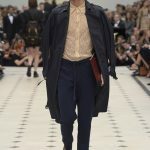 Burberry’s chief executive and chief creative officer fashioned cashmere regimental-style jackets and capes with delicate gold braiding detail and shiny buttons, layering them over delicate lace dresses, some with short sculpted skirts. He also paired his snappy military outerwear with liquid slip dresses - their skirts long and roomy - or with flocked polka-dot numbers. 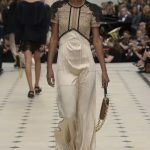 The palette was neutral - with much black and white, cinnamon and oyster - while print came in the form of an exploded crystal tie-dye pattern on silk lace or tulle dresses. The looks cut across seasons, and that’s just what Bailey was aiming for: He said social media now gives everyone “an instant global view,” and that people no longer care about boundaries or seasons in a world that is half-hot and half-cold all year-round. 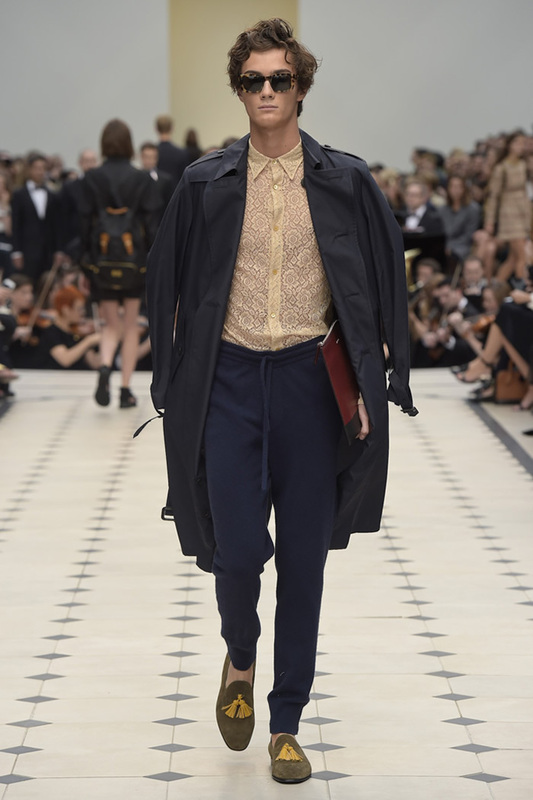 “It’s about blending,” said the designer, adding that he even mixed pieces from Burberry Brit, the house’s contemporary collection, into the show. While the military outwear was strong, and individual pieces - such as the sculpted lace dresses in gold or dusty rose, or a short black number with flower appliqués - were beautiful, this collection’s fashion mash-up careened too often into mishmash territory.